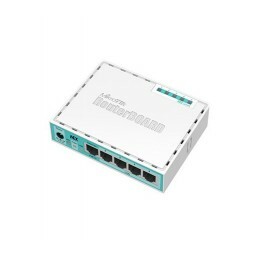 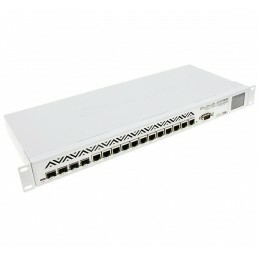 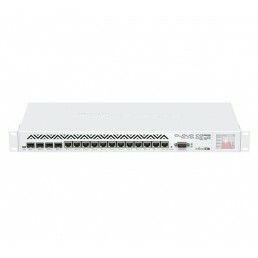 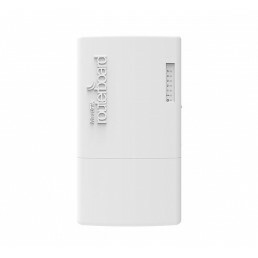 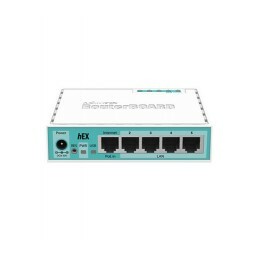 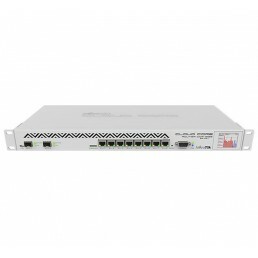 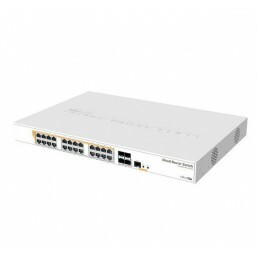 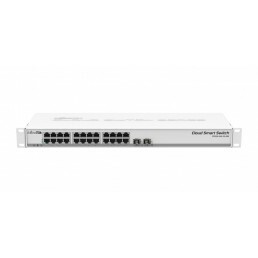 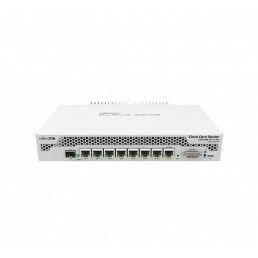 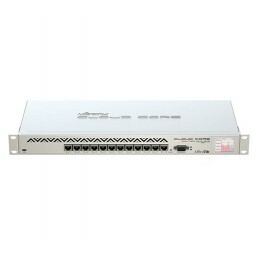 MikroTik 8port PoE Smart Switch (RBCRS112-8P-4S-IN)The MikroTik CRS112-8P-4S-IN is an eight Gigabit ..
MikroTik CCR1009-7G-1C-1S+ (Cloud Core Router)The new updated revision of CCR1009 is here! 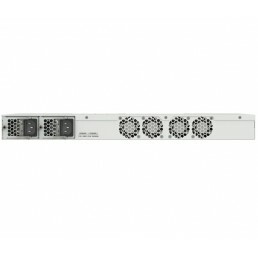 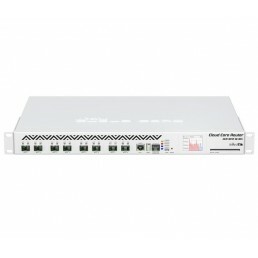 Mikr..
MikroTik CCR1009-7G-1C-PC (Cloud Core Router)The new updated revision of CCR1009 is here! 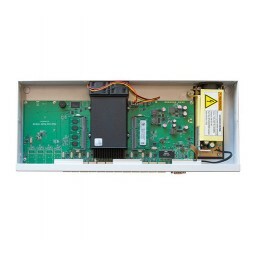 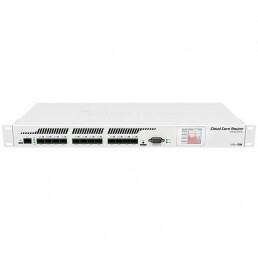 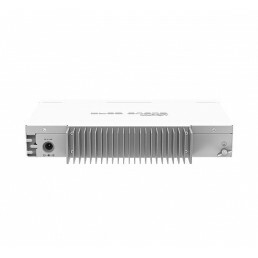 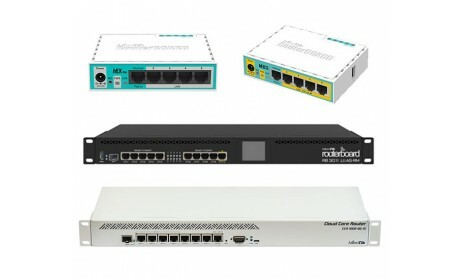 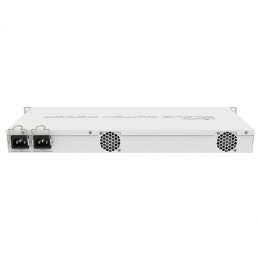 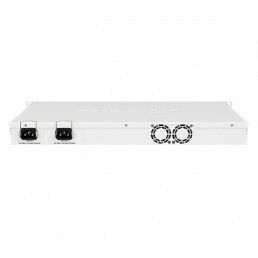 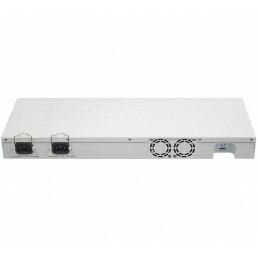 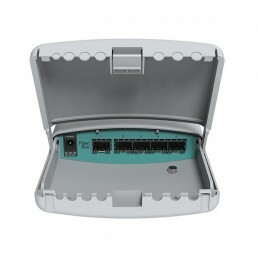 Mikro..
MikroTik CCR1016-12G Cloud Core Router The MikroTik CCR1016 is an industrial grade supe..
MikroTik CCR1016-12S-1S+ Cloud Core Router The MikroTik CCR1016 is an industrial g..
MikroTik CCR1036-12G-4S (Cloud Core Router)CCR1036-12G-4S is a carrier grade router with a cutt..
MikroTik CCR1036-8G-2S+ (Cloud Core Router)Our fastest router has now become even better - the ..
MikroTik CCR1072-1G-8S+MikroTik's new flagship router, the CCR1072, is powered by a Tilera 72 core C..
MikroTik Cloud Router Switch (CRS125-24G-1S-RM)Cloud Router Switch is our new Smart Switch series. 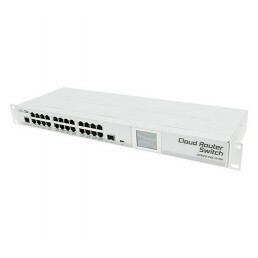 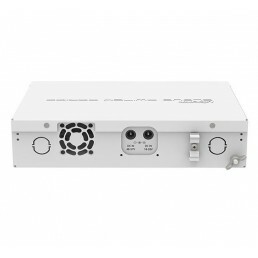 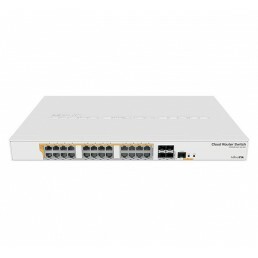 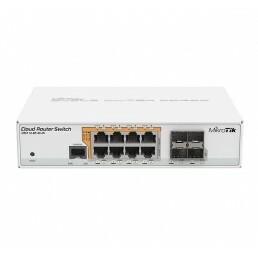 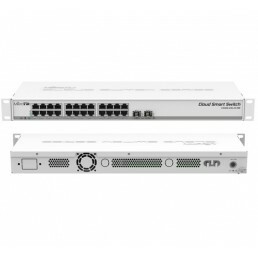 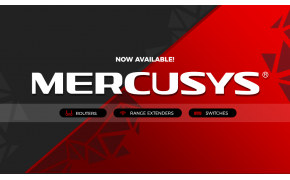 I..
MikroTik Cloud Smart Switch CSS326-24G-2S+RM The Cloud Smart Switch 326-24G-2S+RM is po..
MikroTik CRS326-24G-2S+RMThis is a SwOS/RouterOS powered 24 port Gigabit Ethernet switch with t..
MikroTik CRS328-24P-4S+RMCRS328-24P-4S+RM is a 28 independent port switch, it has 24 Gigabit Etherne..
MikroTik CRS328-4C-20S-4S+RMThe CRS328-4C-20S-4S+RM is a 28 independent port switch with a combo gro..
MikroTik FiberBox (CRS105-5S-FB)The Fiberbox is an outdoor router with five SFP ports, ideal for loc..
MikroTik hEX (RouterBoard 750Gr3)The hEX is a five port gigabit Ethernet router for locations where ..